Editor's note: CNN's Human to Hero series screens on World Sport every Wednesday and Thursdays. (CNN) — It could be the spartan living environment, or perhaps growing up in the thin air nearly 3,000 meters above sea level — or maybe it’s the influence of a legendary local coach. Whatever its secret, a remote mountain town in Ethiopia has produced a string of world-beating distance runners. 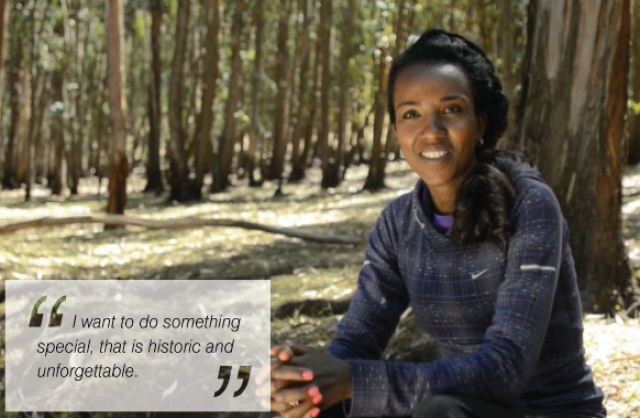 Three-time Olympic champion Tirunesh Dibaba is the current cream of a crop that has helped put Bekoji on the map. Like many from her area, she was clearly born to run. “Running is for me my job, but also my source of entertainment,” the 27-year-old told CNN’s Human to Hero series.